The dancing, the simcha, the ceremony; one of the most distinct Jewish traditions, is the Jewish wedding! Getting married is an incredibly important land mark in any individuals life, however according to the Jewish tradition, the Jewish marriage is important for not only the individuals involved but it is a celebration for the entire community. A unity of two souls rejoining as one and continuing the tradition of our ancestors. The Mayanot Women’s learning program was lucky enough to be invited to join in the celebration of the wedding of Mayanot Director, Rabbi Shlomo Gestetners daughter, Aidel Gestetner to Levi Margolin. 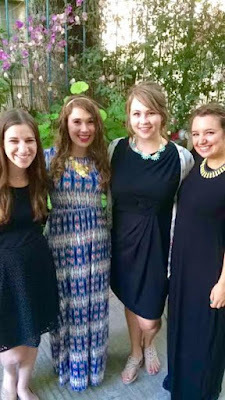 It was such a memorable experience for all of the women of the summer program, but it was especially memorable for Nikki Glebatis, as it was the first Jewish wedding she had ever attended. Nikki was raised Catholic, but became interested in Judaism at a relatively early age. She remembers learning about the Old Testament in her Catholic school and being fascinated by the stories of the Jewish people. This interest grew into a love of Judaism, which eventually led her to look into conversions. After she graduated with her masters in speech language pathology, she took the next steps to convert to Judaism and finished her conversion process this past January. She wanted to celebrate this momentous occasion, in her life, with a trip to the holy land. She came to Israel to study even more about Judaism than she had already learnt for her conversion. If there is one thing you learn about Judaism, 'it's that there is always more to learn' she says. Nikki was especially excited to come to Mayanot because she felt it would be a “warm, open-minded setting”. What she didn’t know was how the teachers and even the directors of Mayanot would open their homes to all the students. It was so special for her to be invited and to share in such an important occasion, the wedding celebration of Rabbi and Rebbetzin's family. "At Mayanot, feeling like a big family is such an important part of the experience. Seeing as all the teachers really take it to heart and make you feel like part of their family, inviting you into their homes, cooking with you, and even inviting you to their daughters weddings, there is really nothing else like it", shared Nikki. Nikki was ecstatic to attend her first Jewish wedding, she could hardy wait. She had learnt a little about the traditions behind certain customs, but didn't truly know what to expect. 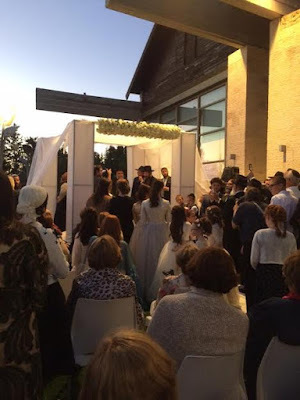 When she arrived at the beautiful wedding hall at Maale Hachamisha, just outside of Jerusalem, they were about to begin the ancient ceremony of veiling the bride, called, the bedecken. She walked into the room where the kala (bride) was sitting and saw her, “all adorned and sitting with her family and friends, kind of like a queen”. As Nikki had learnt, according to Jewish tradition, for the bride and groom on their wedding day, it is like their own personal Yom Kippur (Day of Atonement), so to speak. As they get the slate wiped clean, starting together anew, this day has astounding spiritual significance for them and they have the power to give blessings. So Nikki went over to receive a blessing and said, “it was so powerful and so beautiful to be blessed and feel so connected to the bride even though I barley know her”. When the groom entered the room with all the men and Nikki saw the love between the two as he gave her a blessing and completed the bedecken ceremony by covering the brides face with the veil, she was so inspired. The bedecken is a custom that is meant to pay tribute to our Matriarch Rebecca who veiled her face when she went to meet her husband Isaac. Kabbalistically, the bedecken is meant for the groom to say that he is interested in the bride beyond her external beauty, that he is interested in the aspects of her that has not been revealed to him; her inner beauty. This Nikki shared, "was her absolute favorite part". After this, it was time to move towards the actual wedding ceremony under the chupah (wedding canopy). All the guests were greeted by a view of the sun setting over Jerusalem. Watching the ceremony and listening, Nikki loved the spiritual connection that is so emphasized in a Jewish wedding. The emphasis placed on the importance of the event was paramount, "it isn’t just a big party but also one of the most important events in a persons life, so it makes sense that we all feel it". After the ceremony, all the guests, were invited inside to dance with the bride. In fact, it's a big mitzvah to make the bride happy on her wedding day, and dancing with her is just one great way to accomplish this! "Participating in the endless twirling and jumping, is a pretty fun way to do this", as Nikki states. She was amazed at how lively the dancing was and shocked at how, “everyone was in a state of total joy and ecstasy”. As she was pulled into dancing by people she had never met, she was amazed how everyone was just so enthusiastic and how the dancing just didn’t seem to stop. Before the wedding, Nikki obviously wanted to have a Jewish wedding, but actually experiencing one changed her life. She was amazed that, “In a world where there is so much division between different Jewish groups, a wedding is so amazing because it brings unity,” not just between the two people getting married but between everyone in attendance, as well. 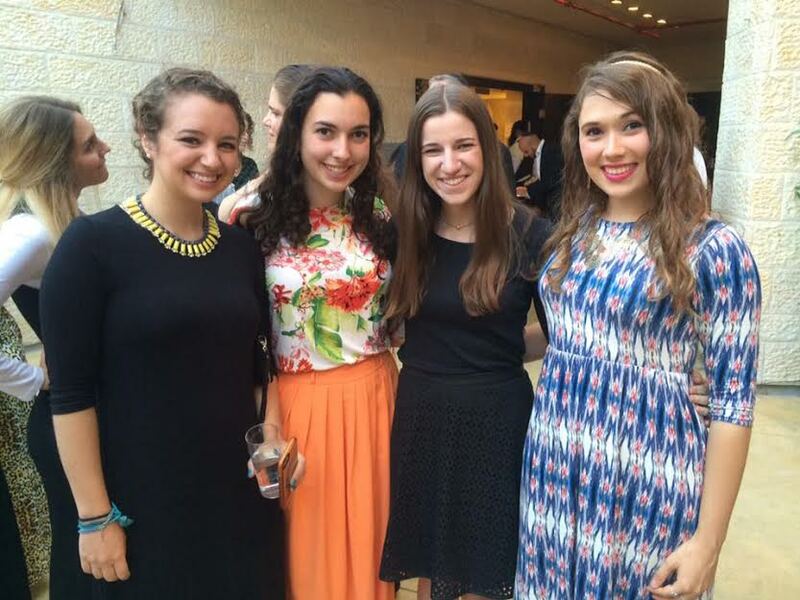 Nikki can’t imagine anything better than a simcha where people come together as a unified group. 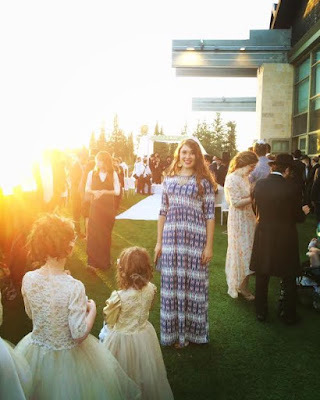 It was amazing for her "how at this wedding, the Jewish world seemed so small". The guests aren’t just there to watch, but to participate. "There was a deep feeling of connection even between strangers, because all the guests together were dancing as a symbol of showing joy and support", regardless of if they knew the bride and groom well or not. It's completely different learning about a Jewish practice, like a wedding, and actually being there experiencing it for the first time. 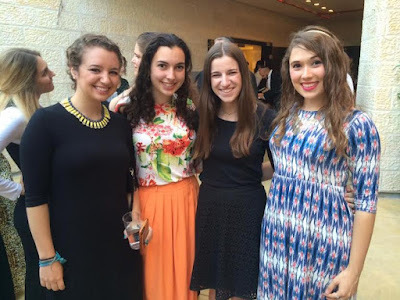 Nikki remarked, "that is what I found to be so amazing about learning at Mayanot, they don't only teach you about Judaism from a classroom but involve you in it in anyway they can, so you can truly internalize what your learning, by experiencing the beauty that Judaism has to offer, in the real world". Its part of the real learning process at Mayanot, actually getting to experience tradition, the love for Torah and the land. This is what Mayanot has done for her; it has brought her closer to her Judaism and has given her experiences she never could have dreamed of. As the summer draws to a close, Nikki has realized how hard it is to leave this place. It has helped her spirituality thrive and has taught her so much more about what is means to be a Jewish woman, it was truly a life changing experience. All of the women in the women's program seemed to have a really transformative experience and were all happy to be able to experience something so profound together and thank the Gestetners for this incredible opportunity!